One of the most popular e-cigarette on the market today is the VaporFi Pro. And there’s no better way to get you started with your vaping journey than through the purchase of a VaporFi Pro Starter Kit. The company has been known to be a manufacturer of high-quality electronic cigarettes and vaping accessories. They have a wide range of models to choose from, one of which is the VaporFi Pro. When you buy a VaporFi Pro Starter Kit, you get a 650 mAh battery, Pro-L Cartomizer, USB charging cable, wall charging adapter, three extra atomizers, and the user manual. The battery that comes with the pro kit is black, but there are other colors sold separately. The tank has a capacity of 1.5 ml. The VaporFi Pro Starter Kit has been designed for a person who wants to get into vaping. It is also ideal for people who don’t want to use big APV or heavy box modes. It comes with a rubber matte finish that makes it easy to hold. The electronic cigarette feels good when held between the fingers. While it comes in black, you can customize the VaporFi Pro by buying tanks and batteries of different colors. It also has an ignition button that lights up when pushed. 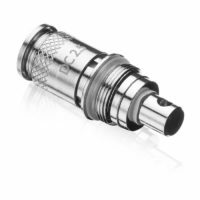 It has a stylish design that will appeal to a lot of vapers. Performance-wise, the VaporFi Pro Starter Kit is easy to use, which makes it ideal for beginners who want more vapor and power than mini electronic cigarettes. The VaporFi Pro creates more vapor and offers more throat hit than the company’s Express and Air Kits. With more throat hits, it provides a better feel that is similar to a normal cigarette. You don’t need to inhale too hard when using the VaporFi Pro. The battery can also last for a long period of time. 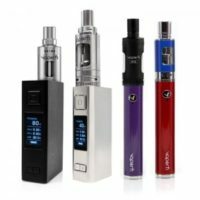 You can enjoy vaping all throughout the day without the need to recharge the battery. While the tank is not the largest one at 1.5 ml, it is lightweight. It keeps the weight ratio of the VaporFi Pro just right. 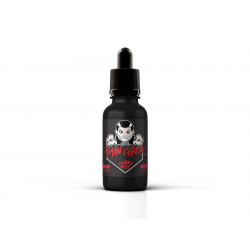 If you want to have more e-liquid, you can get a 3 ml tank that is sold separately. The larger tank comes in various colors as well. The VaporFi Pro Starter Kit is easy to use. The tank can be refilled by unscrewing it from the battery. Just make sure that the center chimney doesn’t get any e-liquid. The coils can also be replaced when they have burned out. The average lifespan of the coils is one to two weeks, depending on one’s usage. The starter kit comes with pre-installed coil and three extra ones. When you want a nice throat hit, then get a VaporFi Pro Starter Kit. It is easy to use and lightweight. The kit comes with everything you need to start vaping right away.